For years the only comms up here in this remote volcano in Vanuatu has been Inmarset, however with the improvement (from the stone age) to cellular coverage everywhere I have managed to come up with a plan that has saved me a fortune in sat phone airtime. 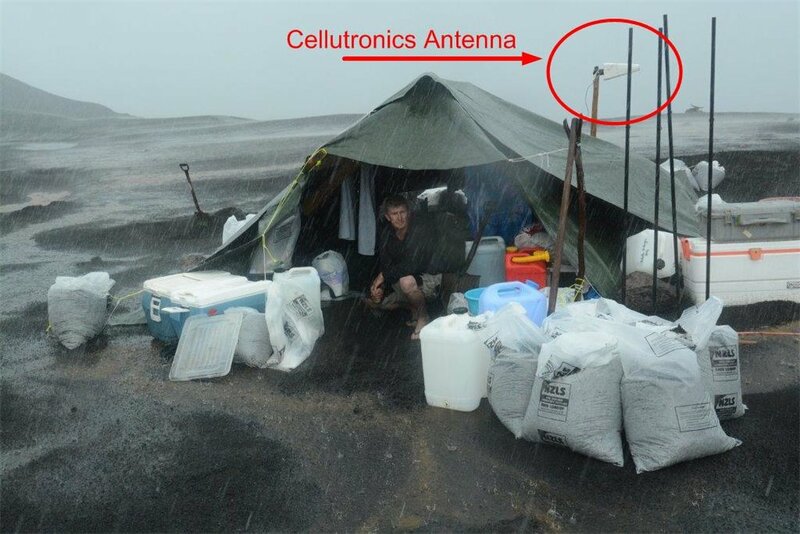 The last time I was up on top of the volcano there was marginal cellular and data signal on top, but now with the Cellutronics AY15 we were able to get a fast cheap broadband alternative that I and our film crew was able to use. Geoff Mackley Jan 2014"Our internet carried on strong through a biblical flash flood. We switched a power source to run the modem to a gel cel when the genny flooded and are still online!"